Something else to look at. 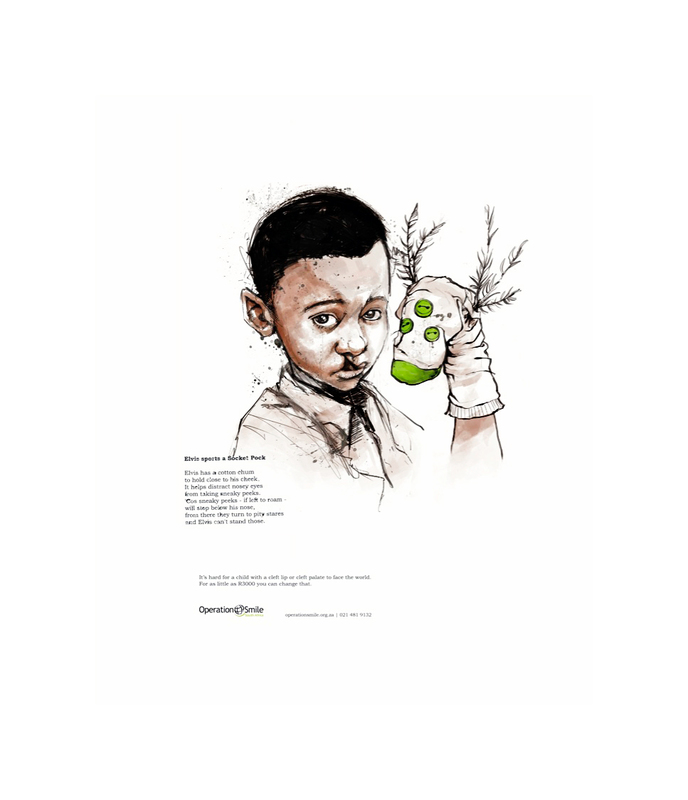 Saatchi & Saatchi Cape Town created this print campaign, and an accompanying set of radio ads, for Operation Smile, a South African non-profit organization that provides free reconstructive surgery for those with cleft lips and palate. 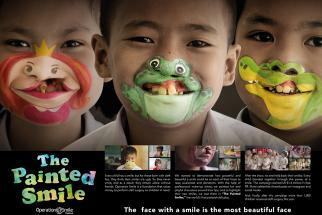 The ads use illustration and rhymes to show how three young children try to divert attention away from their cleft lips in different ways. 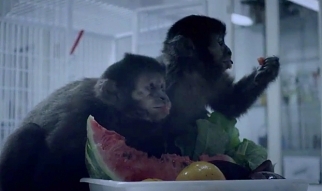 In an area that has traditionally used shocking pictures of deformities to encourage donations, it's a fresh approach.